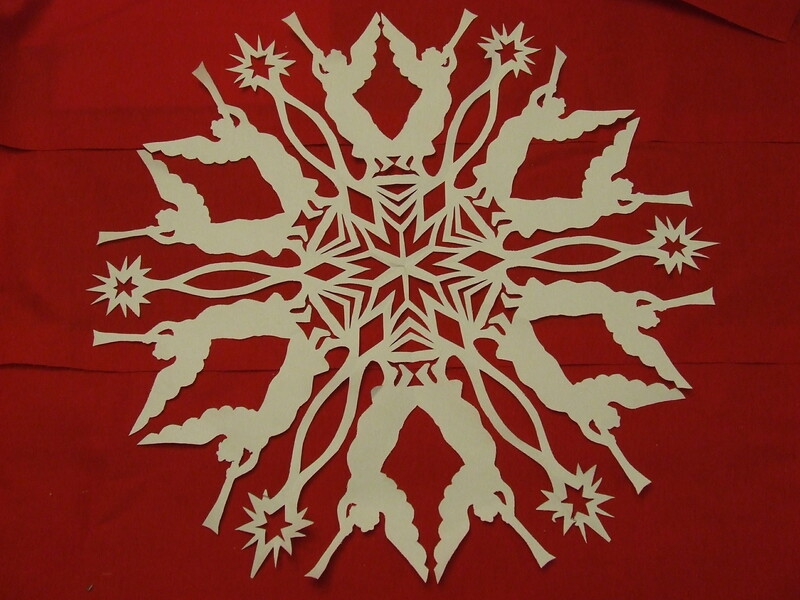 The snowflake was made with an 18″ square piece of paper. If you print the PDF you can transfer the design to your own 18″ folded snowflake with carbon paper. If you want to make it smaller you will need to adjust the print size to fit your folded paper. you can see my sketch lines, I try to follow the lines as much as I can but sometimes my sketch exceeds my cutting skill. 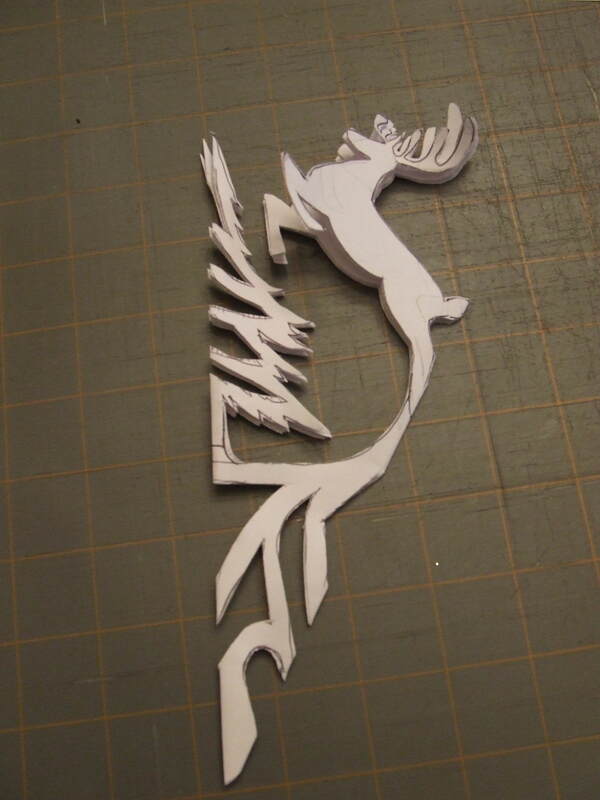 I really need a good pair of paper cutting scissors. I bought what I thought was going to be great, a spring-loaded small Martha Stewart pair that come to a very sharp point….worthless junk! They barely cut through one layer of paper let alone 6! Here is one with angels, sorry I didn’t copy the pattern on this one. 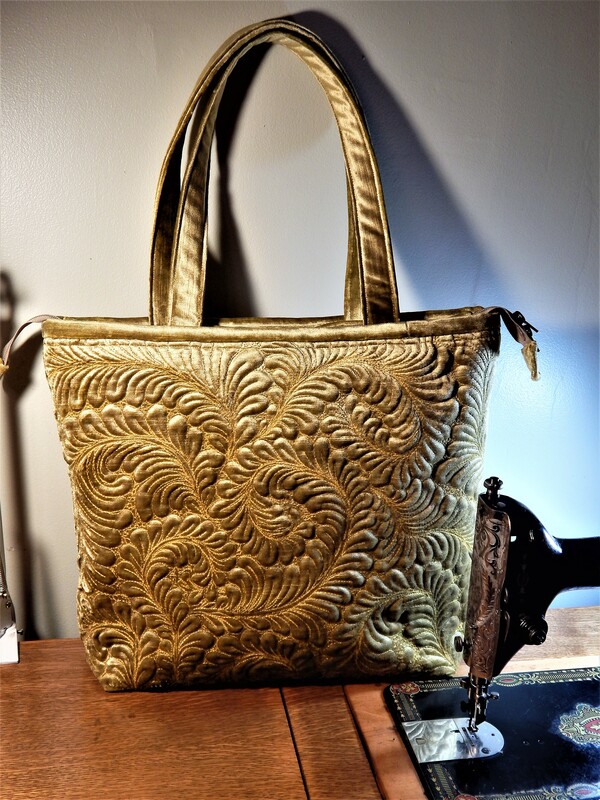 Now I need to get back to quilting! If you make some snowflakes I would love to see them! 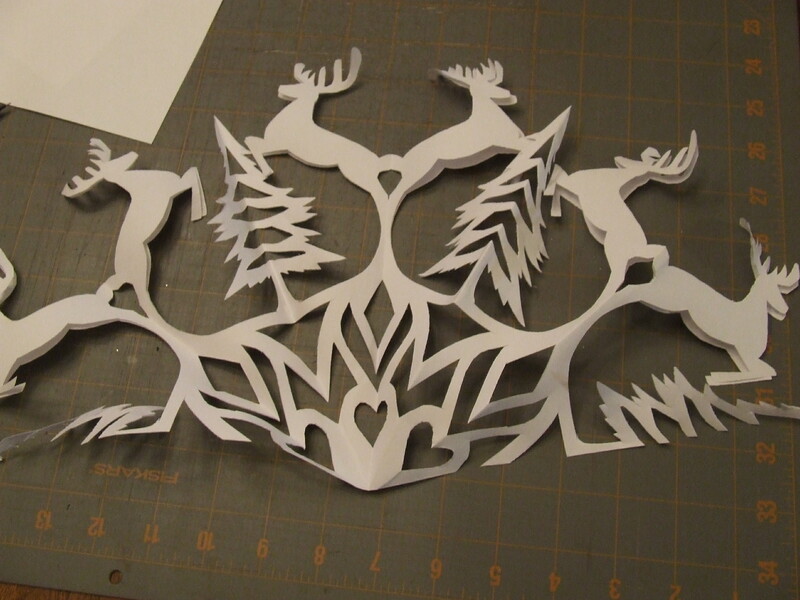 This entry was posted in ETC and tagged cutting snowflakes, snowflake pattern. I like to use stencils when I dust my flourless chocolate cake with confectionery sugar…these could make some wonderful designs! wow!…that is a great idea!! Thanks! You might want to investigate this website: http://www.kaiscissors.com I own 3 pair and they are superior scissors! Sharp enough to handle them like a rotary cutter! Oh Sara! Thanks for the link as well. I’m going to look into these. I have heard they’re great scissors. This brings bacl a wonderful memory. when raising my kids, they would cut intricate flakes( not as beautiful as yours) . They were lovely and we put them in the kitchen windows for the holidays and most of the winter. I saved some for many years in a big book…..You are a wonderful artist. Your ideas are so stimulating.Thanks Tim. oh I love the idea of these in the windows. we used to do that with our kids snowflakes, theres were so simple though, in the window for the winter, they loved making them. Wow! Those are gorgeous. Snowflakes are lovely and I don’t think I’ve ever seen any as intricate as yours. Let me know!!! !~ I love traditional B&W silhouettes. Maybe do these snowflakes in reverse. On black matt? Just an idea. Maybe even do cards?!!?!? Ha!~ You could have a whole etsy account going. Gosh, Tim! These are just gorgeous! I have been cutting mine out here at the house, but I’m gonna have to use vellum or some kind of tissue paper because after all the thicknesses, it’s a bit tough to cut! Your snowflakes are amazing, thanks for sharing! Tim, I have a new computer and its still like a toddler. I was typing a message to you about vintage quilt repair and hit something wrong and can’t find it again. I was part of a group led by Gayle Berg of Walla Walla, Wa. for 8 yrs. 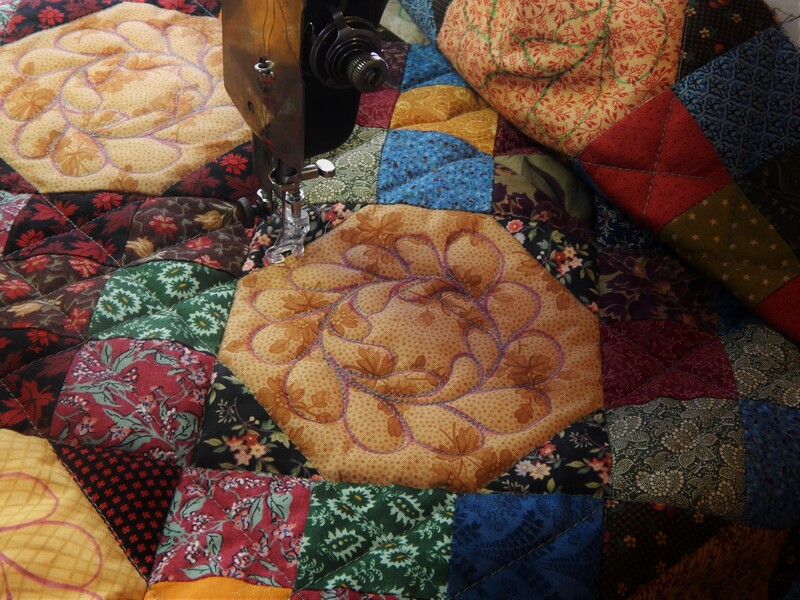 We were responsible for cleaning and repairs of a collection of quilts dated from the early 1800s. There is a Latimer Quilt Museum in La Conner, Wa. have featured artists several times a yr. I think the best time to go is in the spring as it is a flower bulb farming area (La Conner to about Mount Vernon). Acres and acres of beauty fields at different stages of bloom. I think it would be a trip especially suited to you. 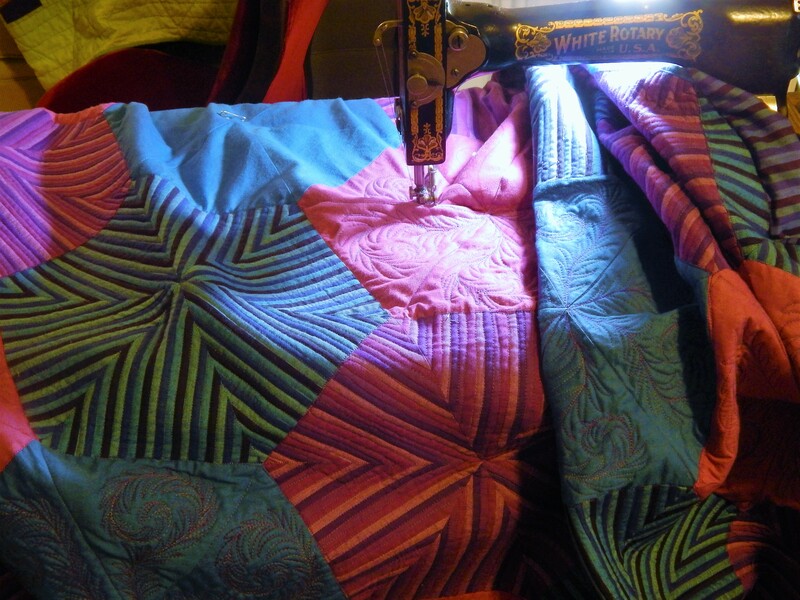 I also hand quilt many of my own creations and have a collection of only 37 vintage quilts, many restored by me from what I learned from Gayle. We used to yard sale in Walla2 and they would often have estate sales with quilts. Unbelievably, I purchased a Jacob’ Ladder for $2.00 from about 1880. I have enjoyed your blog and expect to return. I hope my “book” has some worth to you. My email is not yet set up. WOW! You are the absolute most talented snowflake maker I’ve ever seen!!! excellent site even my hubby was impressed. Beautiful work. 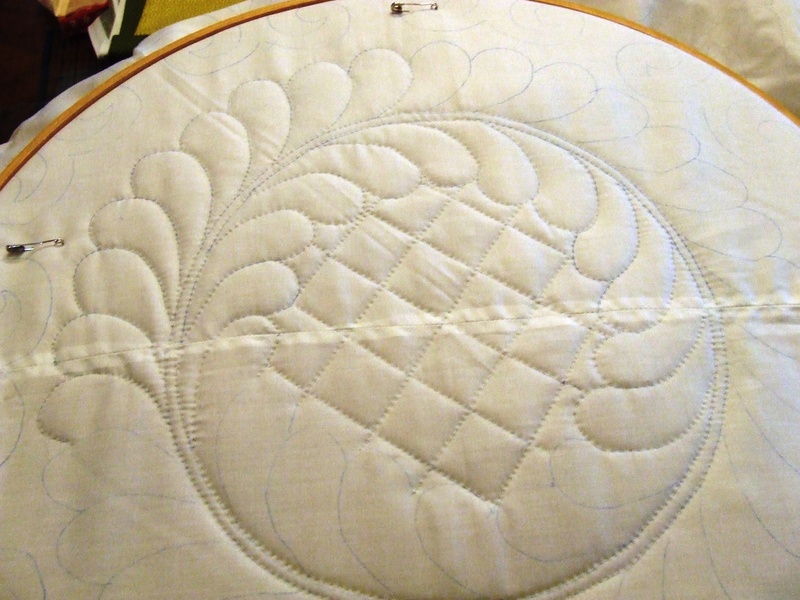 I think the snow flakes look like lace, so i trim shelves, make table runners, use them like doilys, use them on packages. I love your designs. A few years ago I saw some intricate ones at a Doctor’s Clinic and was inspired. 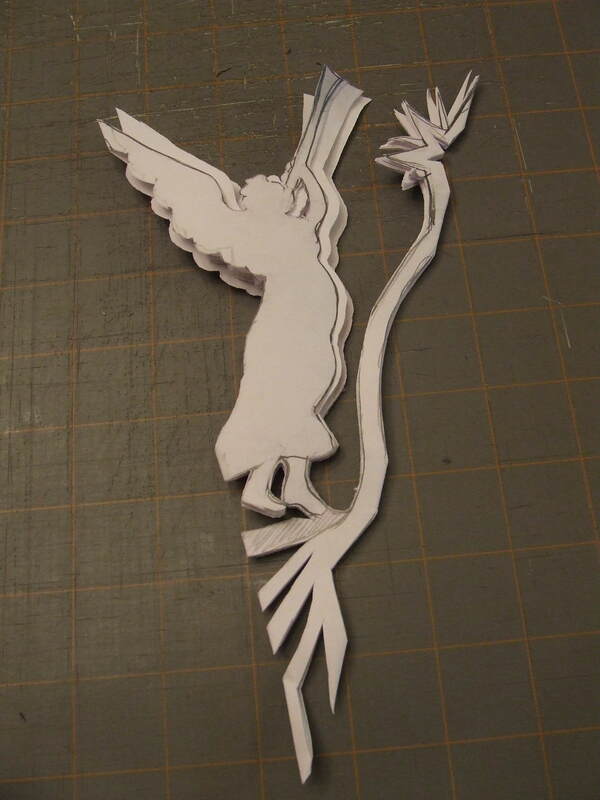 Mexican people have a form of paper cutting for the Holidays. Using one color of paper. Then many colors strung along. Love them. Don’t recall what they are called. Happy to see you say something Martha Stewart sell is junk! LOL…those scissors are totally worthless! i have even had trouble cutting thread with them! These are beautiful! You might want to try sketching with Frixion gel pens. After cutting, run a hot iron over the paper and the marks will disappear. Thanks for the instructions! Many thanks for sharing your expertise . I am going to try to use your lovely snowflake templates as appliqué designs for a Christmas panel. Many thanks for sharing your expertise. 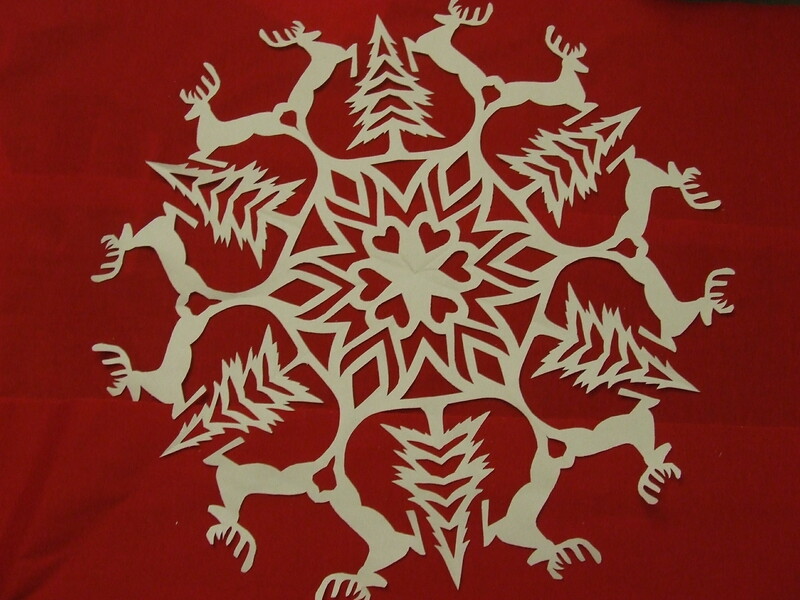 I am going to try to use your lovely snowflake templates as appliqué for a Christmas panel. What a wonderful thing to brag to my friends about it in my school! They’ll like it! I’ll stick it on my door so that I could win the door decorating contest. I’ve never seen anything like this, so intricate! A snowflake cut out in white fabric and appliqued onto a solid colored fabric would make an awesome throw!